In a signing ceremony on December 3, 2018, Hiroshima University (HU) and the University of Vermont (UV) commemorated their formal agreement to promote academic exchange and strengthen the partnership between their two institutions. 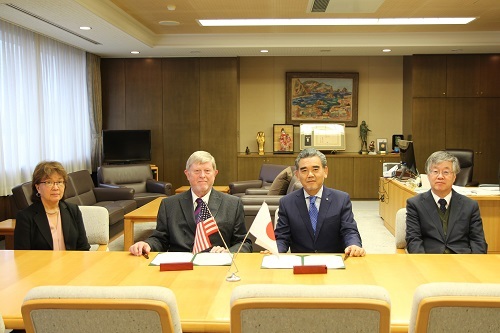 UV Vice President Richard A. Galbraith visited HU Higashi-Hiroshima campus to sign the agreement with HU President Ochi. Dr. Naomi Kay Fukagawa, Director of the United States Department of Agriculture (USDA) Beltsville Human Nutrition Research Center, Beltsville, visited the campus as well and had discussions with President Ochi. 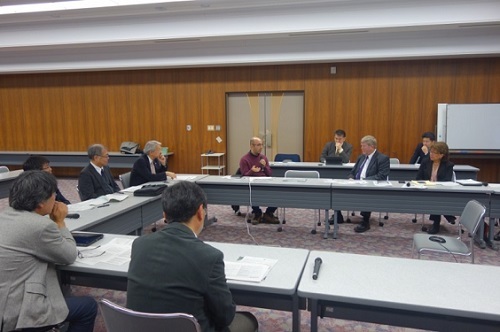 During the visit of Vice President Galbraith and Director Fukagawa to HU, we had a meeting to explore research collaboration opportunities between HU, UV, and USDA at which Vice President Galbraith and Director Fukagawa exchanged opinions with HU researchers. 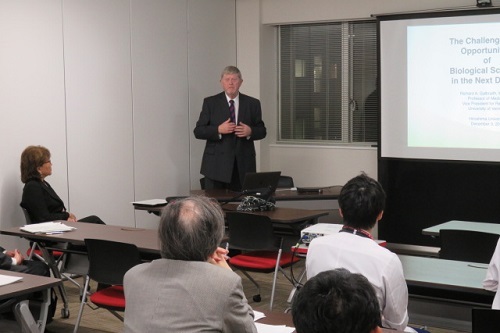 The two delegates presented at the Hiroshima University Academic Lecture Meeting held at Higashi-Hiroshima campus, and the Hiroshima University Translational Research Center Academic Lecture Meeting held at Kasumi campus. This new partnership brings further opportunities for exchange between HU, UV, and USDA.